This past weekend my littlest one turned 2! A whole 2 years since I walked into the operating theatre. I had so many emotions but we celebrated anyway. 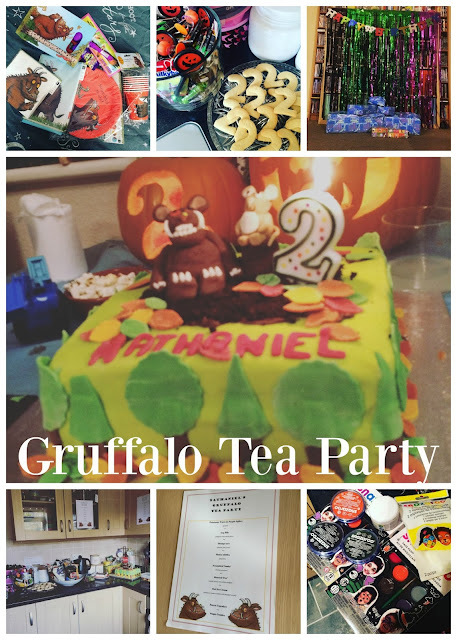 As he is a Halloween baby the theme seems a bit set in stone - I bucked against the expected and planned a Gruffalo Tea party. I loved this one Edspire planned and hosted and took this as the inspiration for mine. I spent my lunch hours trawling pinterest and making notes and plans. This was the first time I had planned to make the birthday cake myself, completly cake, decorations the lot. My mum is usally the first port of call for these but this year she told me I had to man up and make it myself. I hunted for ideas and took inspiration from this fantastic cake here. Mine was not exactly like that in the end - but I am super proud of it anyway! It went down well with the guests too. I'm please with the overall effect, but it could have been a lot neater - but it came together and looked great on the centerpiece on the table. 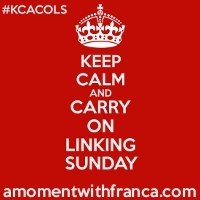 I'll be sharing what I learned from making my own cake soon I think - some pointers I want to remeber for next time! I opted for a really simple menu for the guests and catering mainly for the kids. I didn't need the extra pressure on myself cooking everything and anything (My back, legs and feet are already feeling it from being on m feet constantly for 4 days straight preparing everything) I took inspiration from the book for the ideas of the items on the menu. The ice cream sundaes went down well with the kids!! Another crowd pleaser at the gathering - these cupcakes. 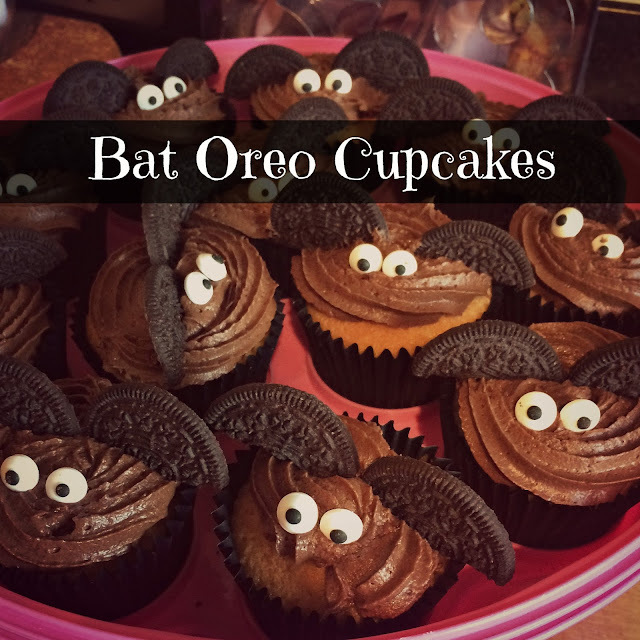 A basic vanilla sponge mix to make up 24 cupcakes, Chocolate icing swirled on top, some edible eyes and an Oreo half turned into bat wings. The kids loved the chocolate icing and the adults enjoyed them too. These were so quick and simple to make and reall effective. A little nod to the Halloween occasion! These were very much taken from these cakes here. The decorations and party bags were from lovely people at party bags and supplies. There party packs are great value and take a lot of the shopping around out. It included a tablecloth, cups, plates and napkins plus 8 party bags - already filled and ready to hand out, Each included a chocolate and 4 small toys (including the plastic wiggly snakes and gliders, which were flying all about the front room) It meant that when this kit turned up, already several things were ticked off my to do list. Other supplies I used were the Wilton Cake colours for dying my own icing, Sugar and crumbs chocolate milkshake icing sugar, Asda number cookie cutters. Other decorations I bough via ebay. the most effective was some shiny foil curtains which i hung up to hide the messy bookcase! The lovely people at Snazaroo sent us some face painting, but my little one kept shouting NO NO NO - but I'll share some of our fun with that, without the little one, later this week.